We propose a novel graphics system based on the expansion of 3D-acoustic-manipulation technology. In the conventional study of acoustic levitation(see our previous demo), small objects are trapped in the acoustic beams of standing waves. We expand this method by changing the distribution of the acoustic-potential field (APF). Using this technique, we can generate the graphics using levitated small objects. Our approach makes available many expressions such as the expression by materials and nondigital appearance. These kinds of expressions are used in many applications and we aim to combine them with digital controllability. 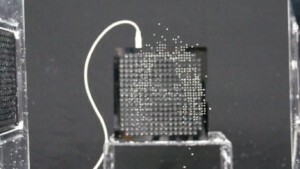 In the current system, multiple particles are levitated together at 4.25-mm intervals. The spatial resolution of the position is 0.5 mm. 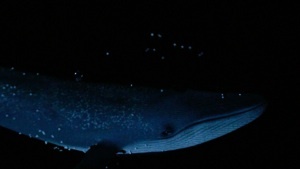 Particles move at up to 72 cm/s. The allowable density of the material can be up to 7 g/cm3. For this study, we used three options of APF: 2D grid, high-speed movement, and combination with motion capture. They are used to realize floating screen or midair raster graphics, midair vector graphics, and interaction with levitated objects. This paper reports the details of the acoustic-potential field generator on the design, control, performance evaluation, and exploration of the application space. To discuss the various noncontact manipulation technologies in a unified manner, we introduce a concept called “computational potential field” (CPF). Implementation: Three Dimensional Acoustic-Potential Field. 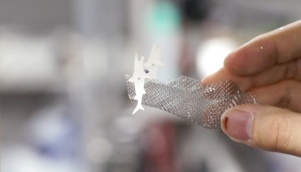 Animated Fabricated Objects: towards motion designed fabrication. Physical Vector Graphics by animated objects. 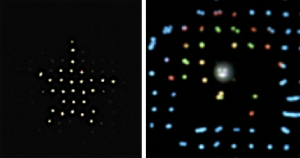 Yoichi Ochiai, Takayuki Hoshi, and Jun Rekimoto: Pixie Dust: Graphics Generated by Levitated and Animated Objects in Computational Acoustic-Potential Field, Proc. 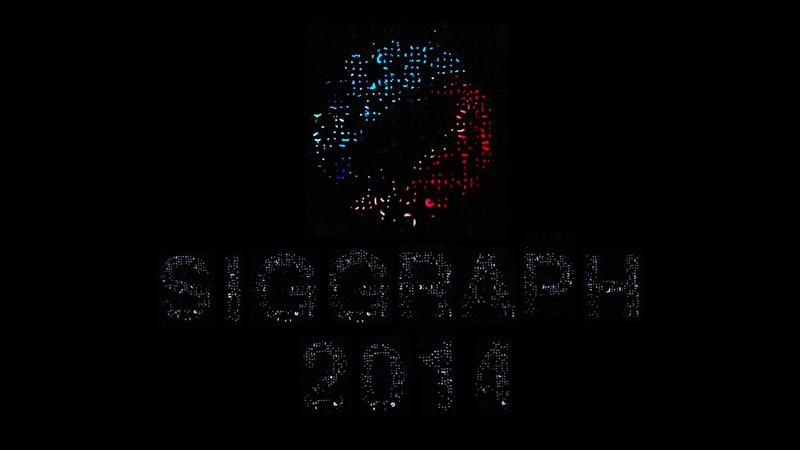 ACM SIGGRAPH 2014, Talks, Vancouver (Canada), accepted, 10-14 Aug., 2014. 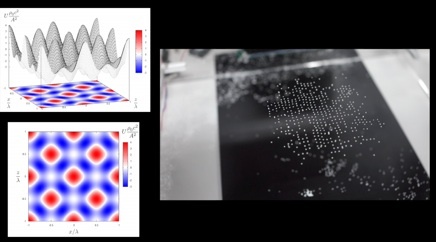 Yoichi Ochiai, Takayuki Hoshi, and Jun Rekimoto: Pixie Dust: Graphics Generated by Levitated and Animated Objects in Computational Acoustic-Potential Field, Proc. ACM SIGGRAPH 2014, Technical Papers, Vancouver (Canada), article no. 85, 10-14 Aug., 2014.